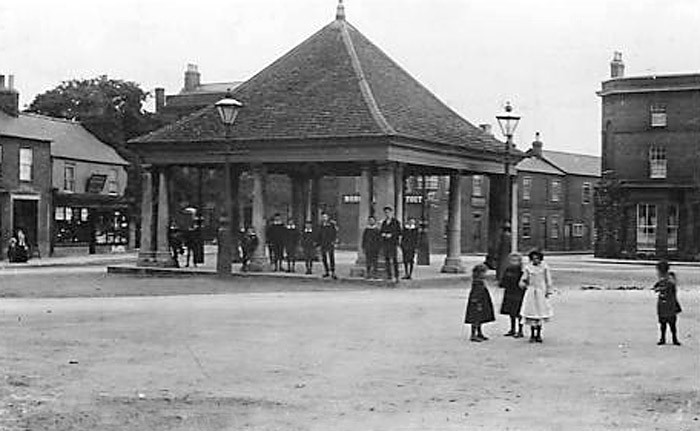 An early shot of the market square in Whittlesey showing the old buttercross building that dates back to 1680 and was originally a place for people to sell goods at market. In the 1800s, it was considered useless and orders were given for the building to be demolished. It was only saved when a local businessman donated some slate tiles for the roof. Today, it serves as a bus shelter, and is the town’s most famous landmark.